The introduction of chatbots has made the marketing world reach customers and monetize business strategies more efficiently than ever before. Many companies like Google, Amazon, Nordstrom and even Neiman Marcus are utilizing chatbot technology as a means of improving customer service. As an upcoming marketer, don’t be scared to create and use chatbot AI. Make your chatbot outstanding by giving it a unique name. A lot of companies are coming up with chatbots, and soon we will have a chatbot crowd. Give your chatbot a catchy name so that customers will remember it. There is still a good percentage of people who are not conversant with chatbots. So, taking the responsibility of approaching them at a personal level will add you dividends, and they will notice your brand. Your bot should have conversational flow. This will allow you to understand customer’s needs and at the same time, gather valuable data to help you grow. Therefore, it’s vital to ensure that there’s an open interaction between your chatbot and customers. You are just starting out, and your bot is in its infancy stage, so keep it simple. 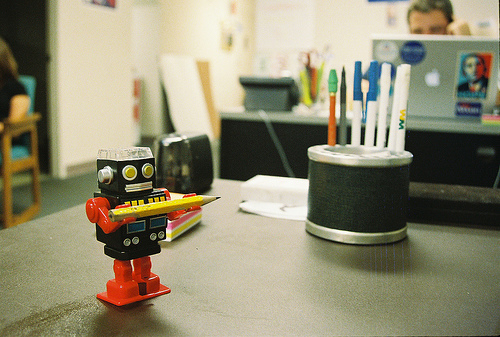 Focus on keeping your bot’s communication short and understandable. The best way to achieve this is by monitoring the behavior of your audience. This will help you improve your business by developing new versions. Ensure you introduce one feature at a time to your customers. Unveiling too many features at once will overwhelm your customers and they will get bored. Keep track of your competitor’s progress. Pick things that are making them do well and implement this into your chatbot. Monitor things they are doing wrong and ensure you don’t make the same mistakes. Keep in mind that there’s still room for improvement. When starting out, ensure that your chatbot is easy to use, accessible, and don’t forget its simplicity. This is a guest post by Josh Wardini, Community Manager at Webmastersjury.org. The infographic is from 16best.net.